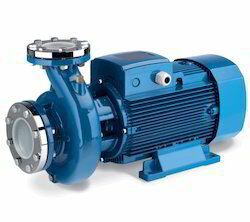 Our organization is counted among the most distinguished suppliers, distributors of Industrial and Domestic Pumps. Designed and developed by the professionals as per international standards, these are acclaimed by the clients for the features such as resistance against corrosion, durability and excellent performance. Moreover, our professionals ensure that only defect-free range is delivered at the clients' end within the promised time. Supported by a team of diligent professionals, our firm is pleased to offer a range of premium Industrial and Domestic Monoblock Pumps to the customers. These products are extensively used in the areas where there is wide range of voltage fluctuations. All these products are widely used in agricultural sectors and industries. Graded metal us used for the manufacturing process in order to ensure that the products remain in compliance with the set industry norms. Before the final dispatch all the products are properly checked by the team of our qualified professionals. 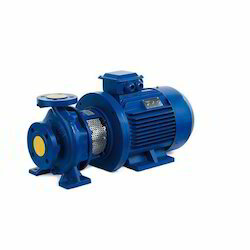 Some of the parts of these pumps include high quality copper wires, pump casing, impeller, mechanical seals, ball bearings and shafts. 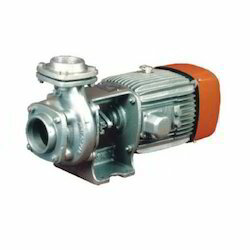 We are engaged in offering graded Domestic water Pumps to the customers. Owing to their high quality standards, these products are widely appreciated by the customers. These are used for both industrial and domestic purposes. Our business partners, to maintain the quality standards, manufacture these products using premium grade raw material. 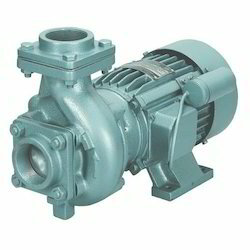 We are engaged in offering graded Industrial and Domestic Pumps to the customers. Owing to their high quality standards, these products are widely appreciated by the customers. These are used for both industrial and domestic purposes. Our business partners, to maintain the quality standards, manufacture these products using premium grade raw material. Strict quality standards are maintained during the total process of manufacturing, right from incoming raw materials to the finished products. Higher efficiency resulting in less power consumption & high output. Excellent quality of material used in pump parts like shafts, ball bearings, impeller, mechanical seals & pump casing & high quality copper wires. Strong well trained service team & wide network of service contractors to provide prompt after sales. We offer an extensive range of Open Well Industrial & Domestic Pumps which is manufactured using quality material by our esteemed business associates. Customers appreciate these products for the features like durability, high performance, low noise and hassle-free functioning. Our customers can avail a comprehensive range of Mini Master Industrial Pumps from us at industry leading prices.Our business associates ensure that all the products are manufactured using supreme grade raw material sourced from reliable vendors of the market. 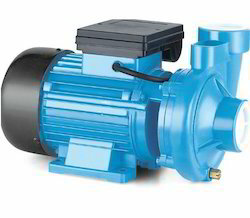 Looking for Industrial and Domestic Pumps ?